Unlike traditional orthodontic techniques such as metal braces, Invisalign uses a series of clear aligners that are removable and custom-made to fit your smile exactly. These aligners are designed to move your teeth into the desired position over time. 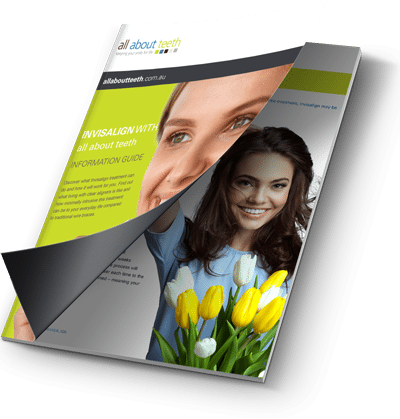 Virtually invisible: Because Invisalign is virtually invisible and is completely removable, you can smile for photos without having to worry about your orthodontics being visible. Removable: Invisalign is completely removable, making it easy to fit into your lifestyle. You can eat and drink what you want, and play sport without having to worry about damaging your orthodontics. Custom made: Because Invisalign aligners are custom made to fit your teeth, they are developed to feel comfortable within your mouth. You won’t have to worry about brackets and wires cutting into your mouth. Best of all, they are virtually invisible. Improved oral health: Because Invisalign can be removed, you can keep up your regular oral hygiene routine. This means that brushing and flossing will not be obstructed in any way.